Two centuries ago, a half-million children of the majority poor and working class in Ireland never went to what we now call elementary school. It did not exist. Parents were either able to pay to send their children to be educated or if opportunity was there, through church schools and charities. In 1831, a National Education system was established to provide primary education. Schools were established, teachers hired and funded by a grant, but patrons were needed to maintain and support schools over the years. My maternal ancestors included three benefactor families Davison, Holden and Pickens, who provided renovation funding and oversight twice during the life of one such school. What became the Seymour Bridge National School apparently had been educating children since the Seventeenth Century. 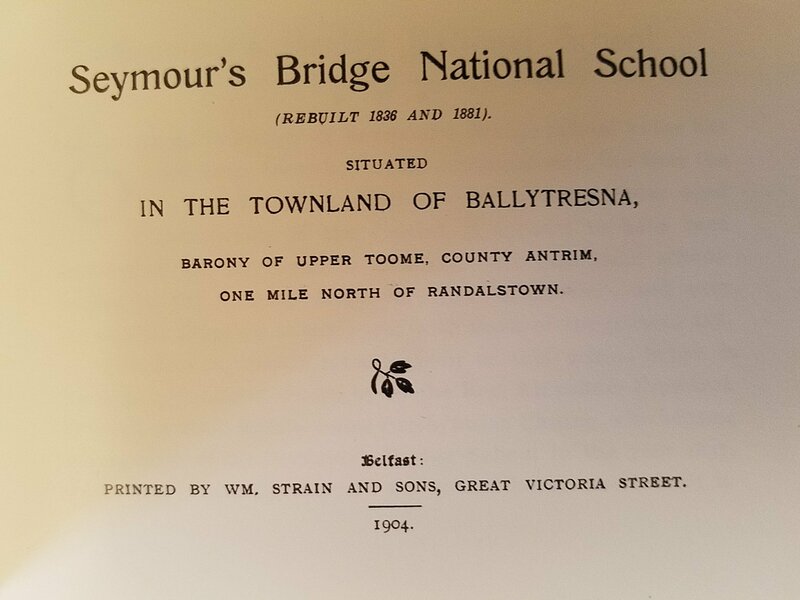 But in 1836, according to a pamphlet history of the one-room school (published in 1904), it was renovated, and provided schooling for sixty-eight pupils, in summer and in winter, six days per week. Fifty years later, the same families again provided for the renovation of the dilapidated school. In the 1930s, my mother and aunts were still being educated in the primary grades in a small two room schoolhouse. Yet apparently, both the disciplined approach of the teacher, and the quality of the education was quite good. Perhaps this is also where my maternal aunts and great-aunts learned an excellent command of diction and grammar. As a child, notes of thanks I penned after birthdays and Christmas, were strenuously reviewed and to this day, I am a recovering grammarian. In the second decade of the Twenty-First Century, when classrooms and teaching is as much about sensitivity, internet access, threat mitigation, and teacher pensions as it is about educating thinkers and advancing the culture, perhaps the cold, one-room schoolhouse, was not so detrimental.